FEB 22 (WTN) - Everything in the politics of Madhya Pradesh is not going well. As you know, no party has got the absolute majority in Madhya Pradesh assembly elections. 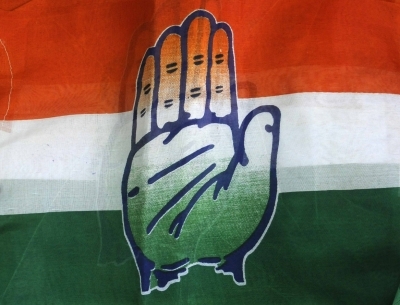 The Congress emerged as the largest party by winning 114 seats, but because of the two seats less than the majority, it had to get support from BSP, SP and independents. But it is said that everything in the coalition government of Congress is not going well. For your information, let you know that the ruling Congress MLAs in the state are being annoyed with their own government and it is such an annoyance that nearly 25 legislators of the Congress have formed a club.It is said that due to the attitude of the Ministers of Kamal Nath Government, these MLAs have started mobilization and have created this club to make pressure. According to the information, many of these MLAs have also expressed their anguish before Chief Minister Kamal Nath. It is said that these MLAs are angry with ministers' attitude. Most of these MLAs of this club have become MLA for the first time. It is not that this club only includes the legislators of the Congress party, but it also includes the independent legislators besides the other party legislators supporting the Congress Government. There are 28 to 30 MLAs in the angry MLAs' club, in which about 25 MLAs belong to the Congress party. According to the information, the MLAs are upset over the fact that the transfer of officers in their areas is being done without their advice and without any trust on them. Also, angry MLAs have alleged that ministers are constantly ignoring them. In a sense, it can be said pressure politics of angry MLAs, because by doing this, they would like to get their work done. As you know, there is no absolute majority government of in Madhya Pradesh, in which each and every MLA counts for the Congress. The resentment of BSP, SP and Independent MLAs can be said right in their place as supportive parties always adopt pressure politics, but the anger of the Congress MLAs itself is a matter of concern for both the party and the Government. At the same time, many senior Congress legislators of the Congress are said to be angry for their not let being minister. In such a situation, the anger of its own MLAs should not be taken lightly by the Congress. It is being said that after the Lok Sabha elections, in both the states like Karnataka and Madhya Pradesh, there may be political upheaval. In such a scenario, it is necessary to observe now how Kamal Nath, Digvijay Singh and Jyotiraditya Scindia, the veteran politicians, will get succeed in resolving the resentment of their supportive legislators? Because if the ruling party's legislators are angry then its far-reaching negative outcome Congress will face and party may have to suffer in the Lok Sabha elections.